This book made me laugh and cry. It is a romance and the details are pretty accurate. I loved how Charity was true to her promise and stayed to help out with the baby (I won't say why). It is a very sweet and touching story and the ending is perfect too! 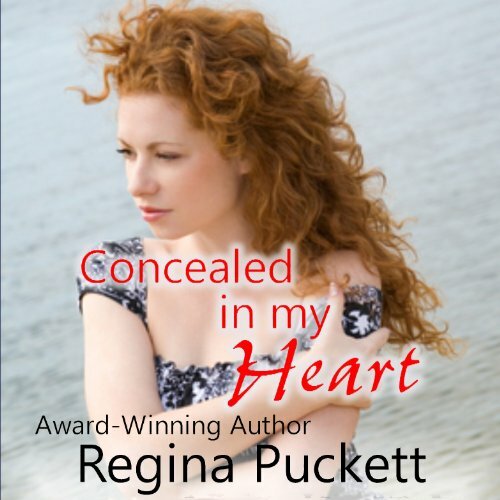 The author, Regina Puckett did a great job on this book. It has an excellent (down to earth) plot and I liked the characters too, especially Charity. The narrator did a great job in the delivery too with multiple voices, accents and emotions. I loved the drunken voices too. I received this audio book for free, no strings attached. It was so good, I felt I should at least leave a review! This was a touching, if maybe more than just a bit predictable, romance. Every time a major plot point came along, I kept hoping against hope that the author would surprise me and do something different that what I KNEW was coming. Sadly, every time I was not surprised. All of that said, it was sweet romance and the characters were well developed. It was interesting to imagine some of my favorite celebrities this way... having real lives that are much more complicated than just what you see on-screen and at the Oscars. The narration was very good. I wasn't sure what I thought of a such a booming male voice reading a female perspective book, but he pulled it off well. Each of the characters had a distinctive voice and personality. I will definitely seek out other performances by this narrator. If you could sum up Concealed in My Heart in three words, what would they be? Have you listened to any of George Taylor’s other performances before? How does this one compare? George Taylor's enunciation was clear, and the variation in his voice made it easy to visualize the different characters. Having listened to many audio books, I found Mr. Taylor's performance to be among the more effective narrations. His overdubbing at one point, when two spoke at the same time, was a creative touch and a surprise. Overall - an enjoyable listening experience!